Whether it was a long, boring, or interesting and fun event, any invitation for an event or meeting participated in deserves a form of gratitude. A thank-you letter or note is in order. But what does one put in a thank-you note? 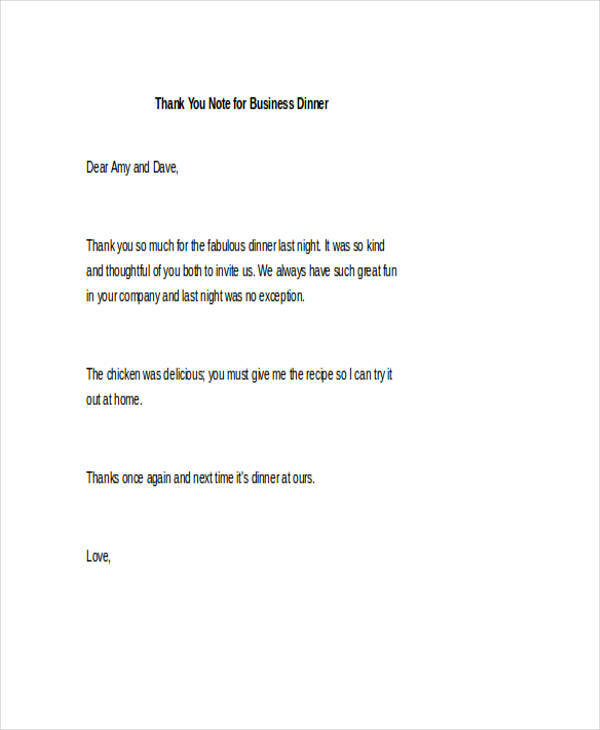 Learn from these thank-you note examples. Whether it is for a simple dinner or for a formal meeting or interview, there are different thank-you notes or letters you can choose from. You might find the words for your gratitude that you have been looking for, as well as get ideas on how to make one yourself. Just click on the download button to access the file for free. Personal Thank-You Notes – These notes comprise of letters sent after attending personal events such as weddings thank you note, birthdays, anniversaries, and such parties. 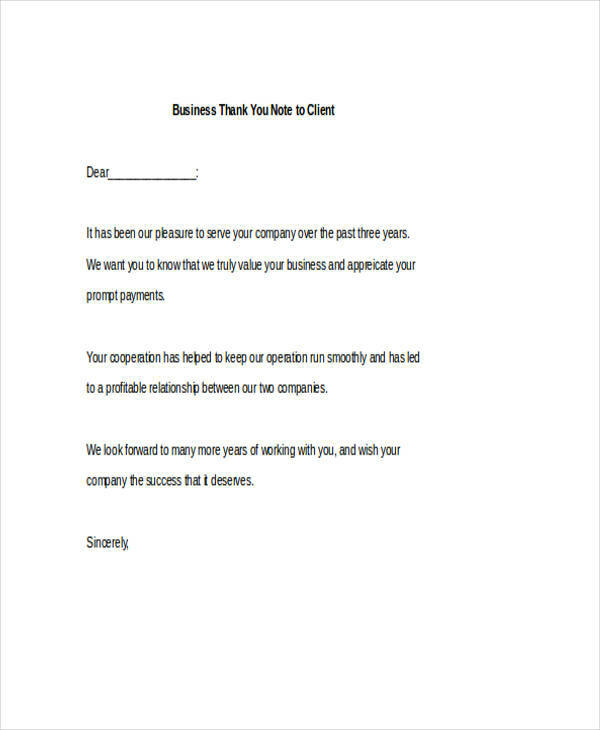 Business Thank-You Notes – are notes given after formal events in relation to a job, employment, or business. Examples of which include thank you notes for job interviews, business meetings, client meeting note, business dinners, employee farewell, to name a few. Wedding Thank-You Notes – These thank-you notes are given to attendees of a wedding who were specifically requested to attend, or whose presence the couple are grateful for. In general, weddings thank you note are given to all who were invited and came to the wedding. Variations of these thank-you notes exist like those of a wedding held in a far destination for which the guest had to travel far. 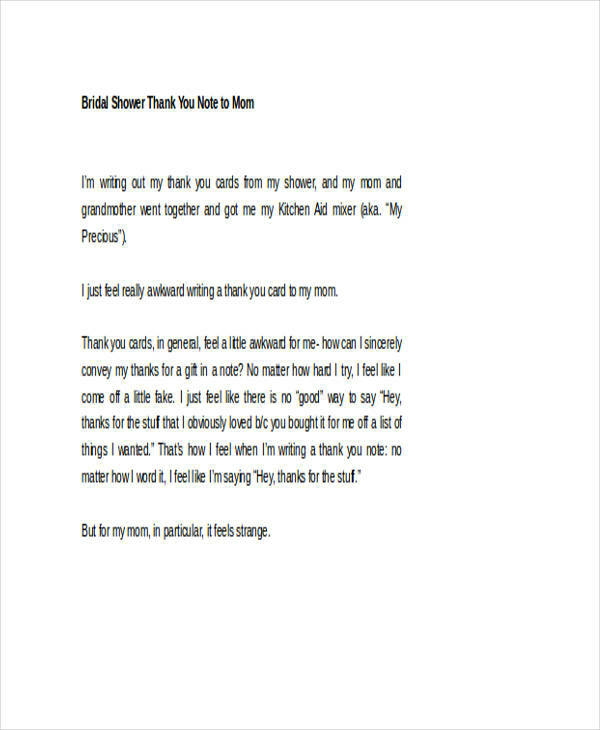 Bridal Shower Thank-You Notes – On a similar note, bridal shower thank-you letter example differ from wedding thank-you notes in the sense that these are given ahead of the wedding, after the bridal shower. 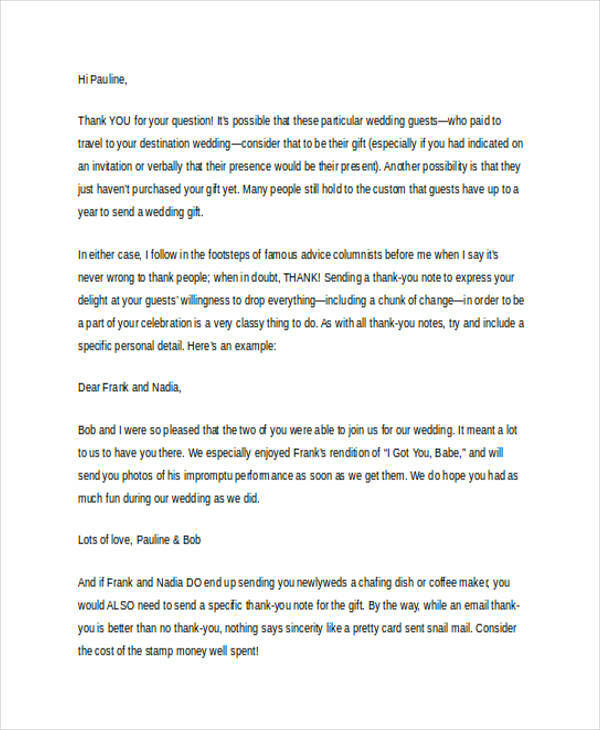 This letter entails that the bride is thankful for the select people who came to the event and hopefully had fun as well. Baby Shower Thank-You Notes – The biggest blessing that a couple commonly wants is that of announcing the arrival of a child and what more way to celebrate than with a baby shower. Selected friends are chosen to attend and a thank-you for their presence and sharing the celebration is what this note is for. 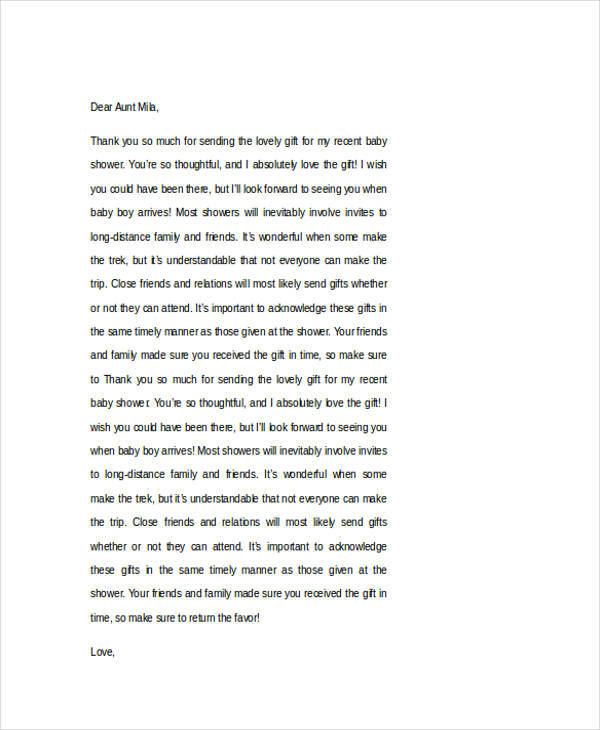 This note would also serve as thank-you for the presents that were given to the mother during the baby shower celebration. 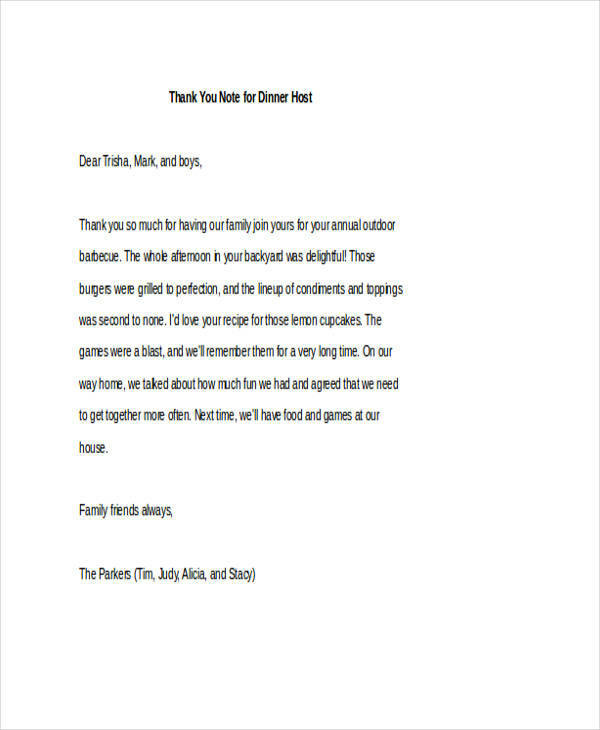 Dinner Thank-You Notes – These notes are given out by the guests invited to a dinner party. It usually describes how the guests had fun and enjoyed the dinner and company of the hosts. 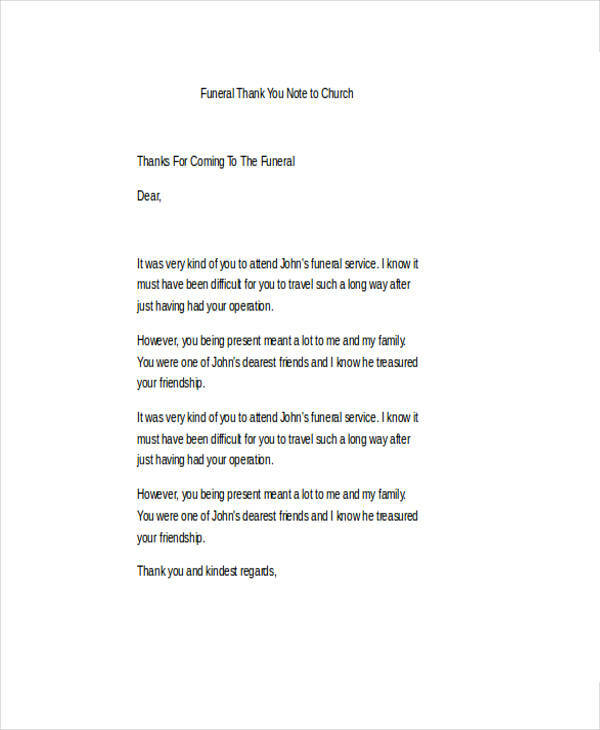 Funeral Thank-You Notes – Funerals typically do not offer reasons to be thankful, but any host or party concerned would be glad to receive support during the trying time. 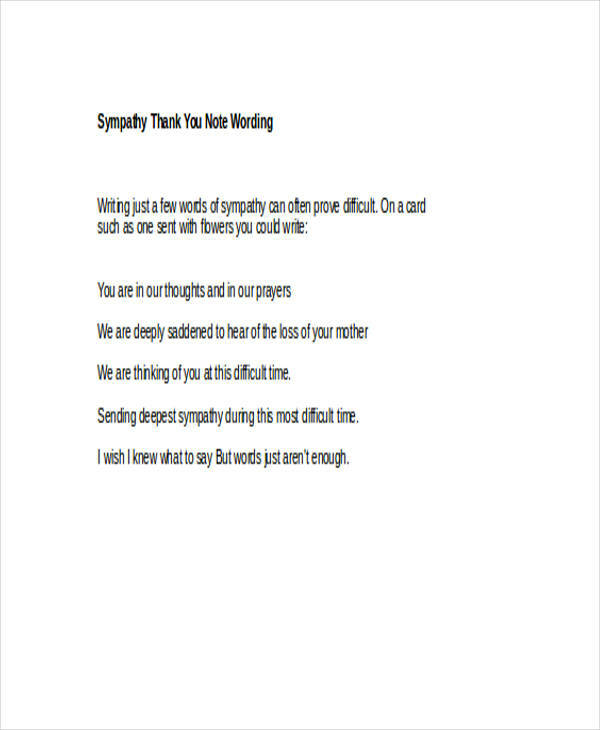 This letter is sent to those who attended the funeral program or service and provided consolation to the bereaved. Look for the example of such a note, where the sender was thankful for the attendance of a friend travelling a long way to attend the service. 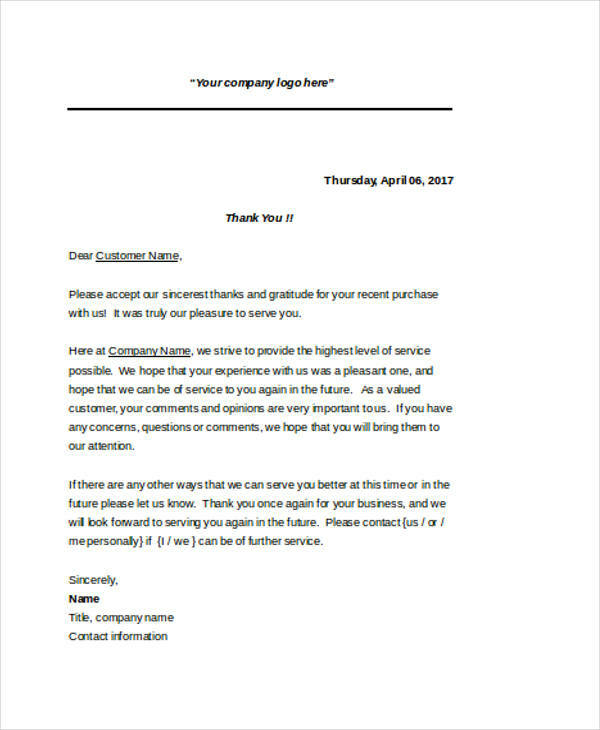 Sympathy Thank-You Notes – Usually given by non-profit organizations that have received donations from individuals or companies. These organizations commonly provide food or shelter to homeless individuals and this letter is given to benefactors who have made substantial donations to help their cause. 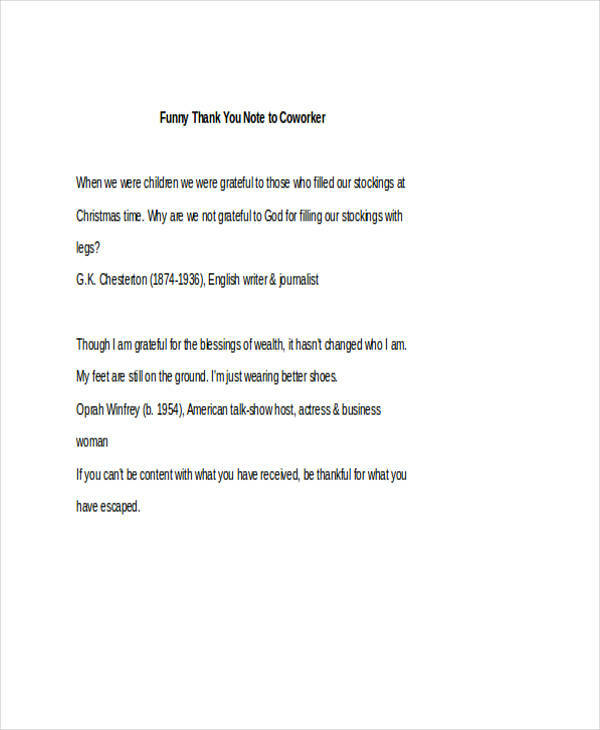 Another blank note example for this type of note is shown in the page wherein the person lending the amount was extremely thankful of the help during a hard time. 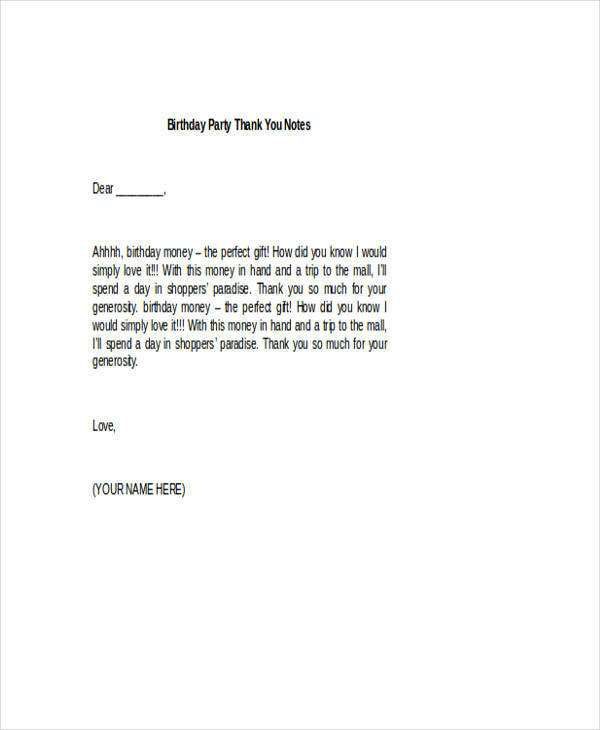 Birthday Thank-You Notes – Birthday parties are some of the most common parties people attend. The host or celebrant sends out these thank you notes as appreciation of attendance of the guests. 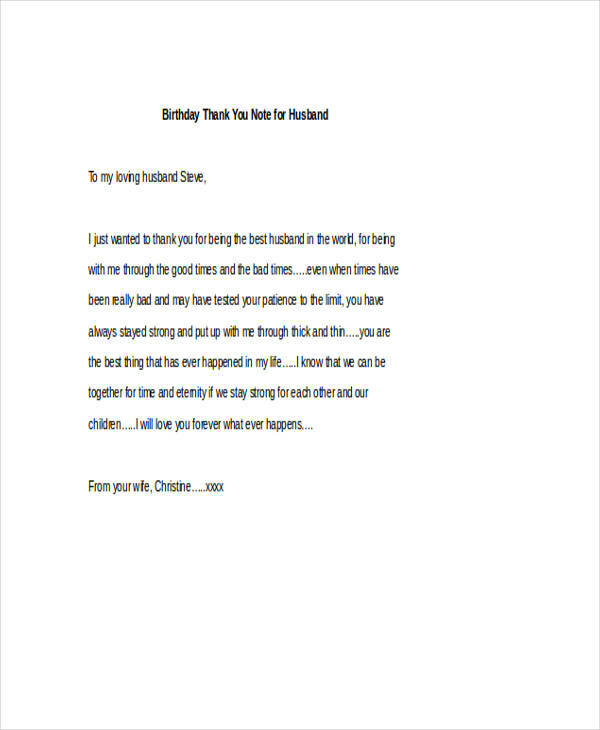 These are usually sent out to relatives and friends who came and shared the occasion with the celebrant. 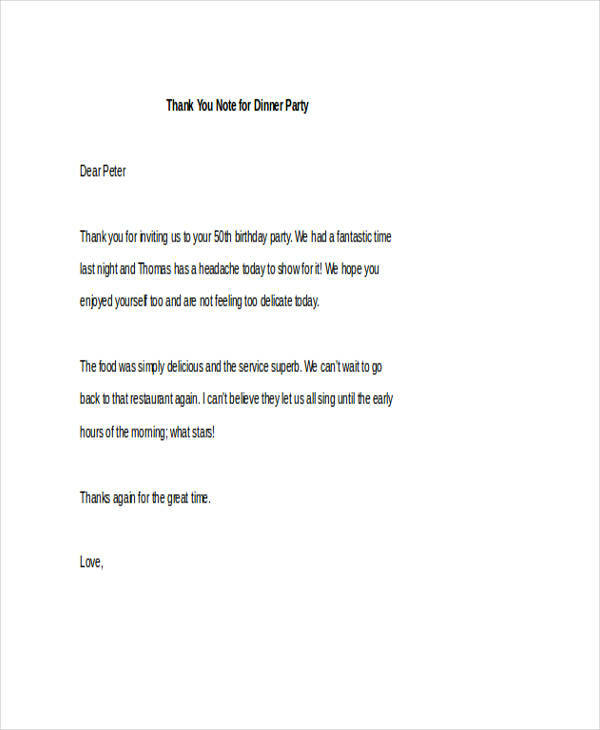 Depending on the host, birthday thank you note examples in pdf can come either as an actual note or an email from the celebrant. Gift Thank-You Notes – Nothing puts a smile to our faces as that of receiving gifts. This may have been a result of conditioning from childhood and the holidays or celebrations associated with gift-giving. 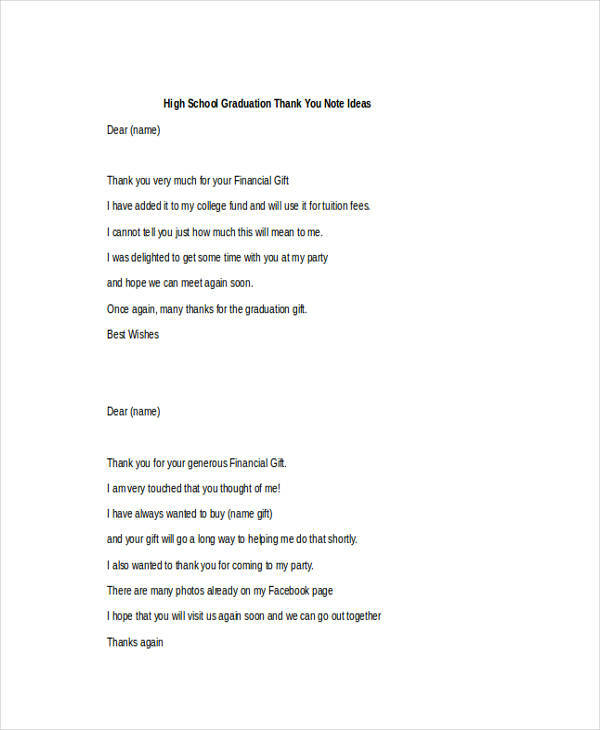 Graduation Gift Thank-You Notes – Graduation marks entry to a new level or status. Another step to take in the process of growing up. Parents, friends, and loved ones show their appreciation and love to the one graduating through different gifts. Most graduation gifts specially for high school or college are lavish or more than average. 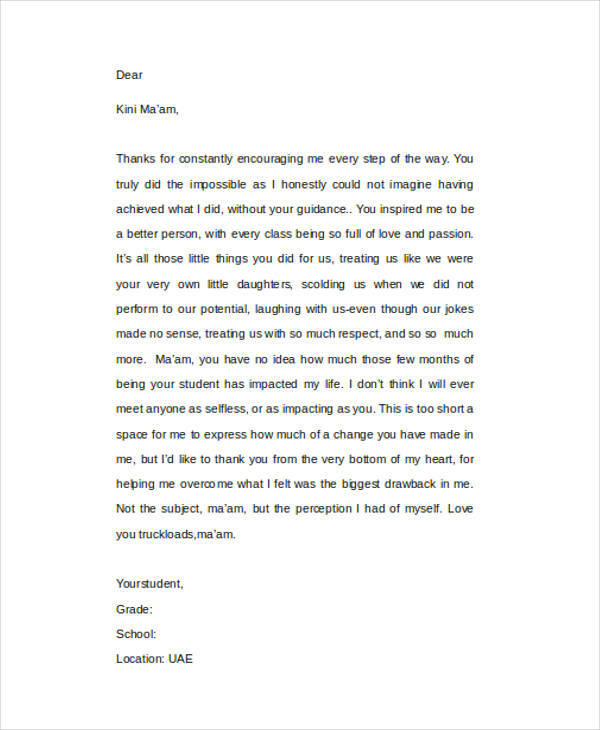 The sample high school graduation thank you note shown here thanks the donor of the monetary gift and mentions adding it to his college fund. Anniversary Gift Thank-You Notes – Couples or married couples each present each other with gifts during their anniversary. A note of appreciation for the present received shows how grateful the person is of having the other partner around or for the benefactor of such gifts. 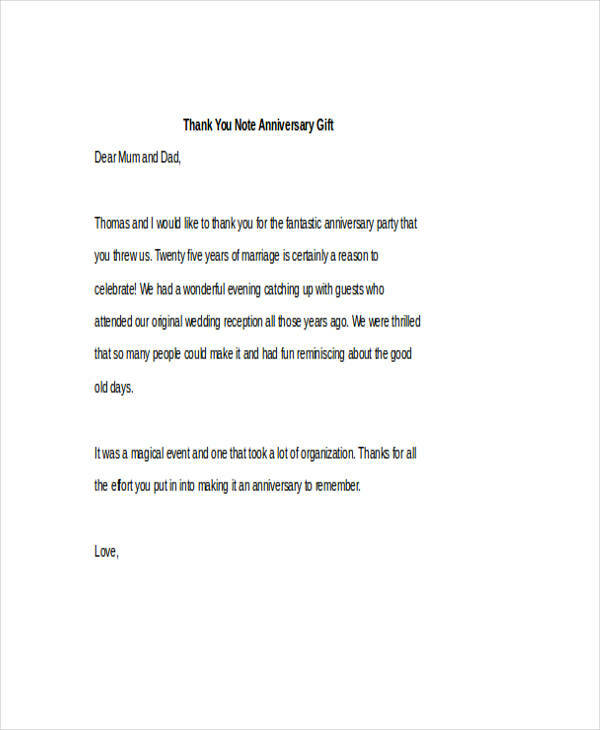 The sample anniversary thank-you gift mentions the recipient to be quite happy for the gift of the anniversary party coming from the mother and the effort that was given to organize the anniversary party. 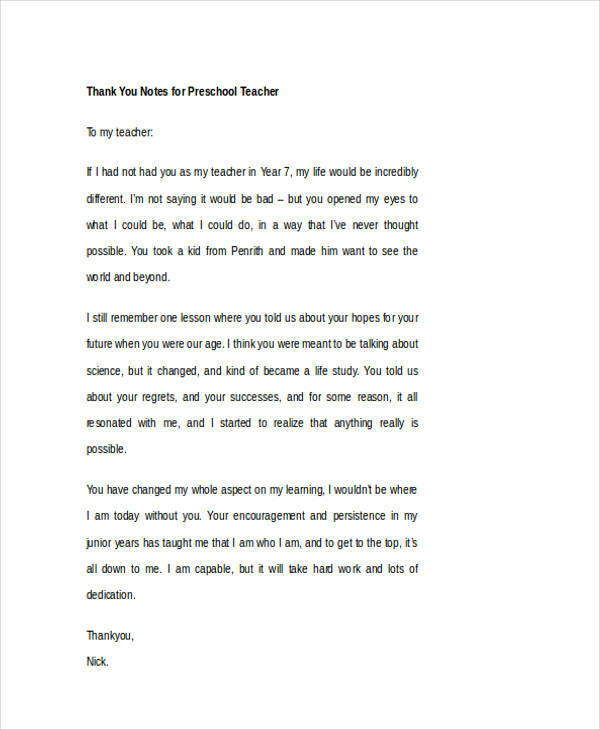 Teacher Thank-You Notes – Schools or educational institutions provide the basic standards we have of understanding our community and society. Teachers are in essence our second mothers or our mother away from home. Most students recognize this and send letters of appreciation to their respective teachers who they deem to be thankful for. These thank you notes are often informally written but sincerely meant. A number of these thank you notes are addressed usually to preschool teachers as these formative years shape the child and the child sees the teacher as a second parent. Donation Thank-You Letter – Donations come in all sorts of ways. Some donations involve donating money while some come in the form of donating blood. 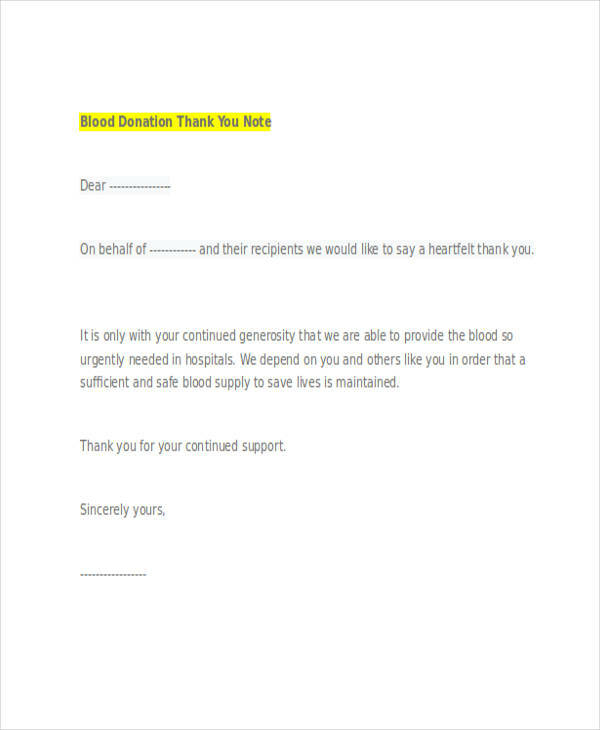 Organizations such as churches or blood banks send out thank you letters for notable donors who continue to support their cause. An example shown for a church donation thank you note on this page mentions the proceeds of where the donation goes. This is also to show transparency to the donor regarding the proceeds of the donation. 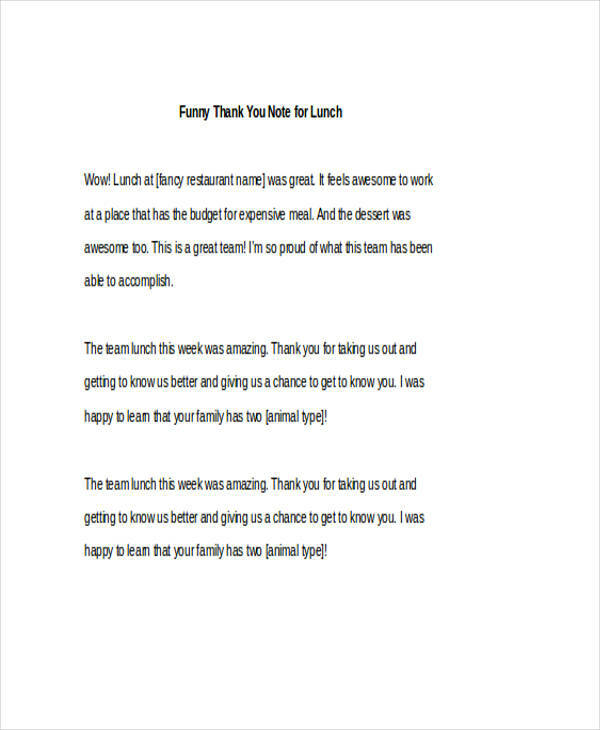 Lunch Thank-You Notes – Often informal and given right after team lunches. 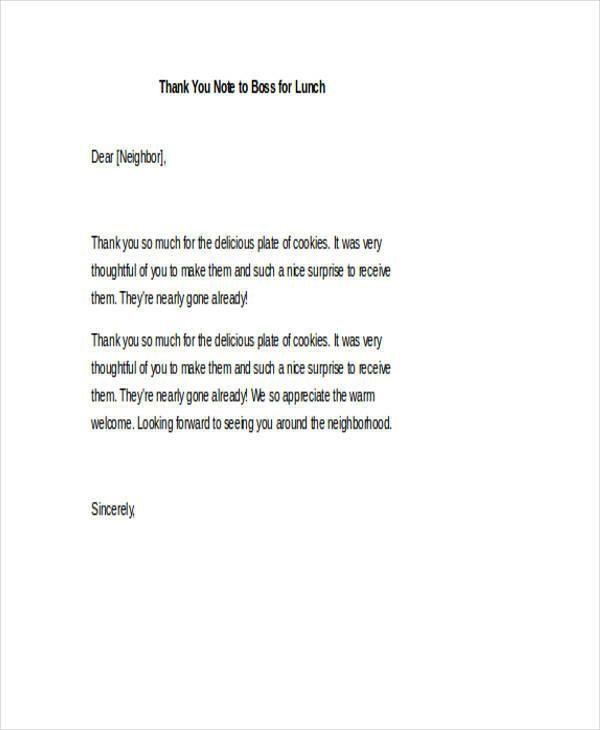 An example of a funny welcome note for lunch is shown on this page. It describes how much fun the attendees had during lunch and how they got to know each member of the team better. 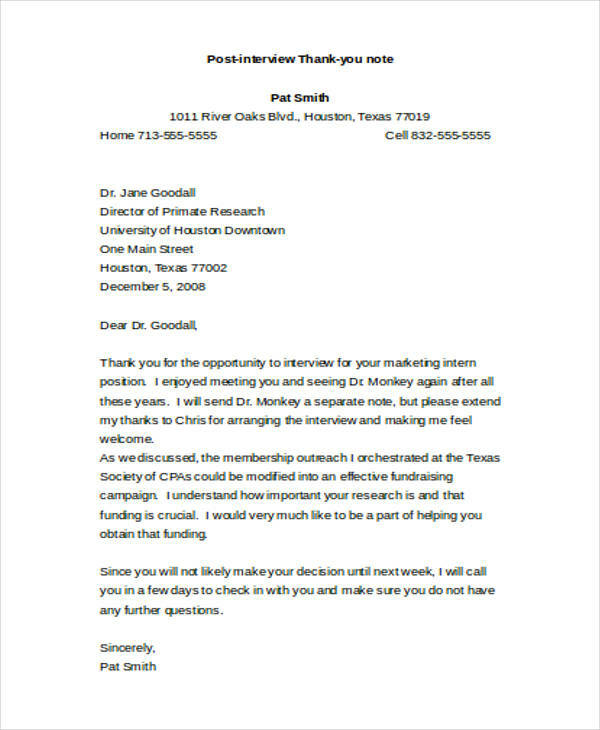 Interview Thank-You Notes – These notes are usually given within 24 hours after an interview. 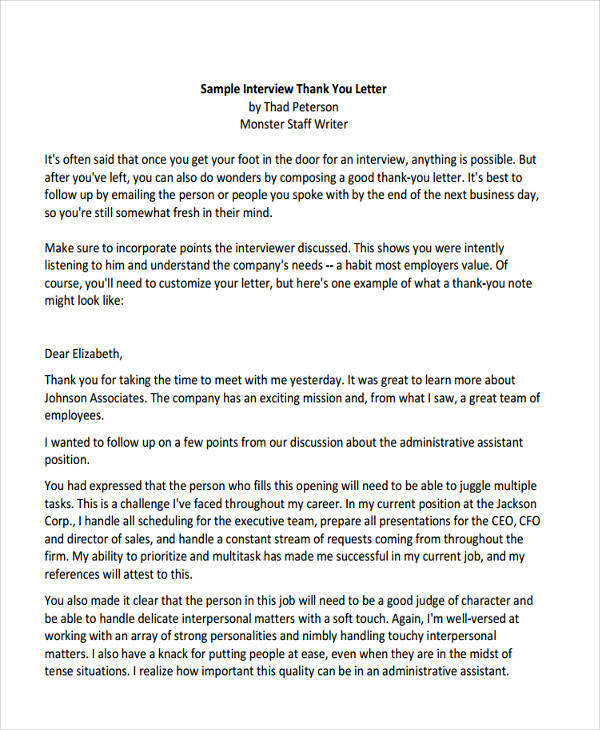 Post Interview Thank-You Notes – These notes are given to thank the person who participated and agreed to the interview. Most of these interviews are either for scholarly purposes or social interest. 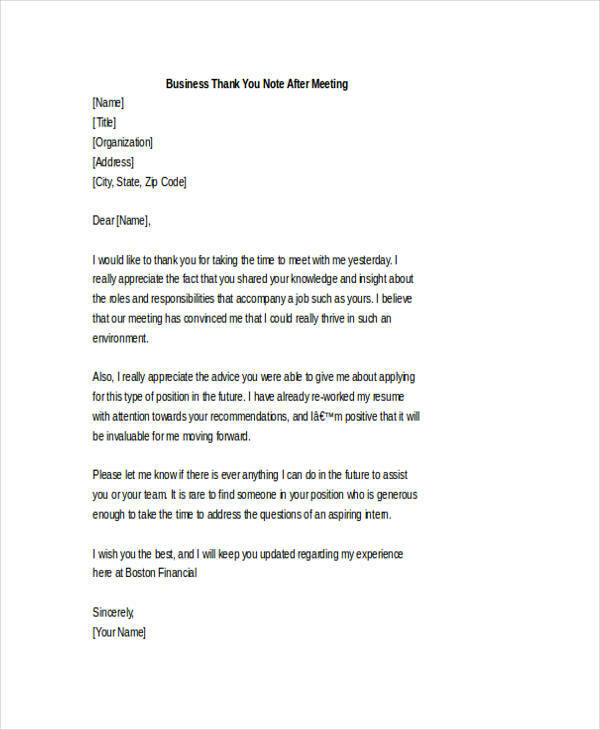 Most interview thank you notes of this type are given to authority figures like a mayor agreeing or spending time to participate in the interview. 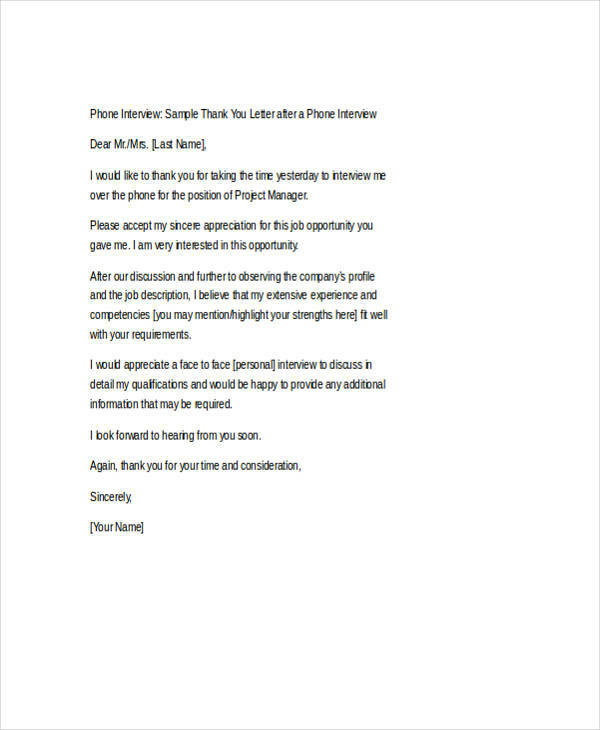 Phone Interview Thank-You Notes – Not all important or people sought after with interviews have time or are physically available to attend to an interview. These notes are given to the persons being interviewed who have given time for a phone interview. 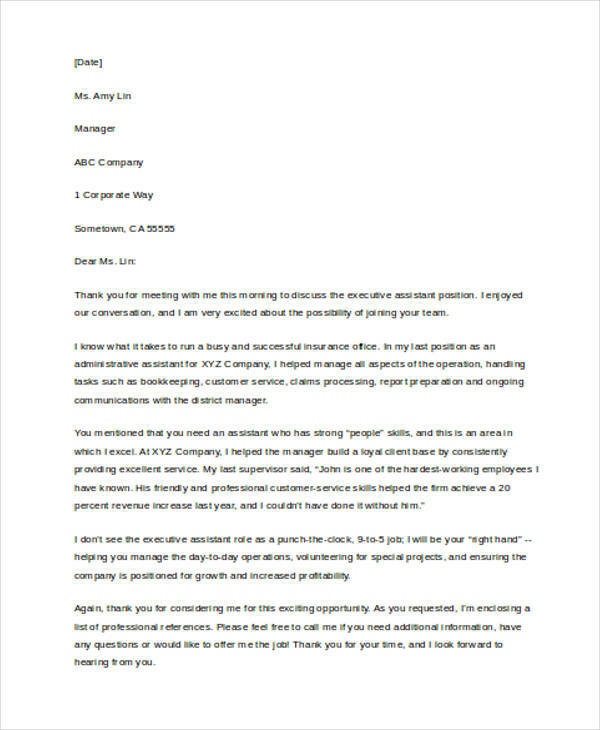 Job Interview Thank-You Notes – After applying for a job, some job seekers try to increase their chances of getting the job by sending out these job interview thank you notes. 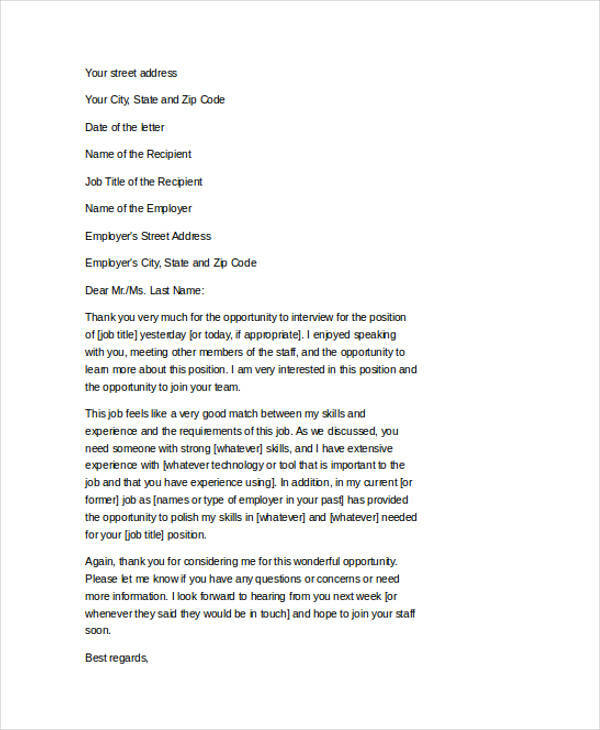 At times they would consider this letter as a sales letter in disguise as they are typically selling themselves and their most notable qualifications to the interviewer. Business Meeting Thank-You Notes – After a successful and fruitful meeting, business meeting thank you notes are usually given. Some are due to a meeting resulting to a successful acceptance of a business proposal while some are after an inking of a business deal. 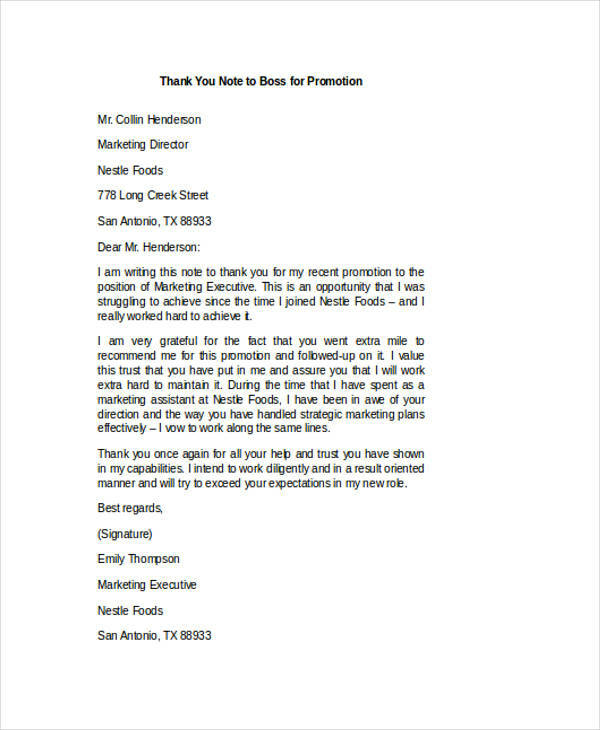 Employee Farewell Thank-You Note – As most employees come and go, some of them send out farewell thank you notes to previous supervisors or managers thanking them and the company of the many opportunities given during his tenure in the company. 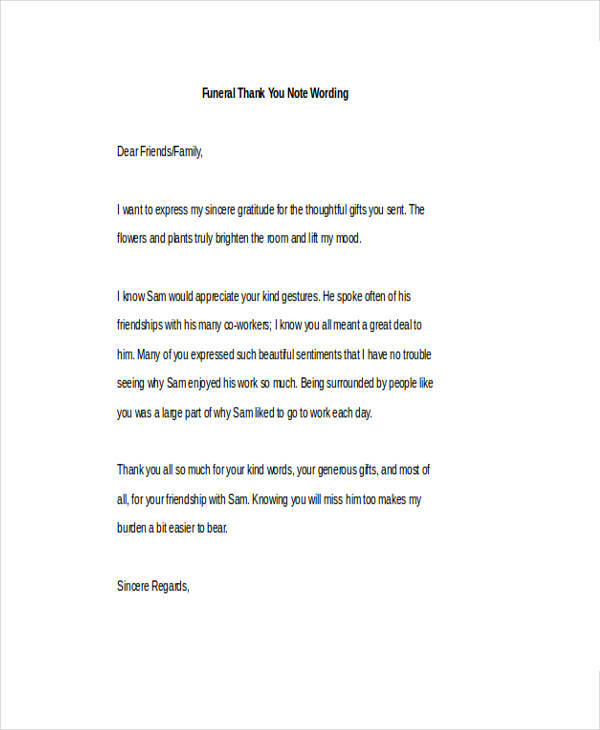 Internship Thank-You Notes – Sent out upon the acceptance of an internship thanking the person approving the internship. A sample of such can be seen on the page. 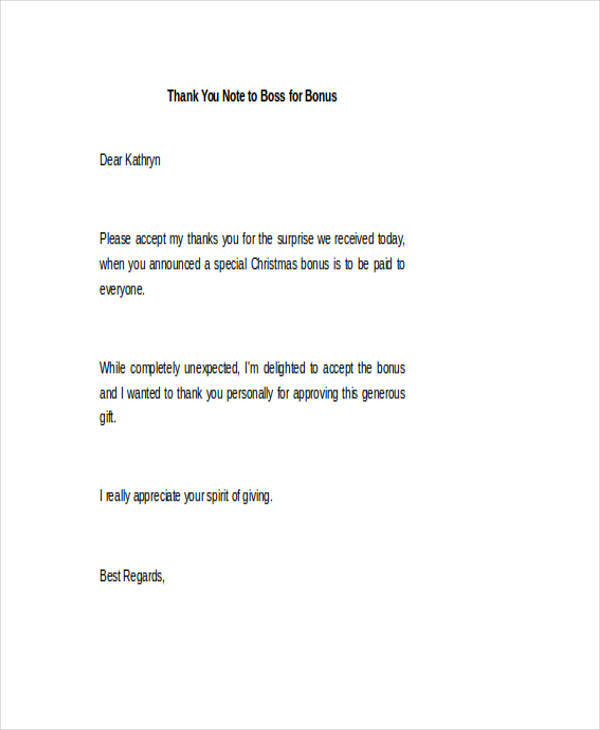 Numerous other thank-you letters may exist as many people do find different ways of expressing their gratitude over a gift, blessing, or event invitation. All of the thank-you note examples shown in this page are available for download for your reference.